The film is about a young girl who lives with her father and stepmother, while still upset that her mother died recently. This little girl then sees the ghost of her mother and befriends an aging actress in hopes she has a mother’s care because her parents are not doing the job right now. As the story goes on, her parents won’t believe her about seeing her dead mother and choose to punish her for saying these things until a brutal climax in the end, which oddly resembles a Disney film. 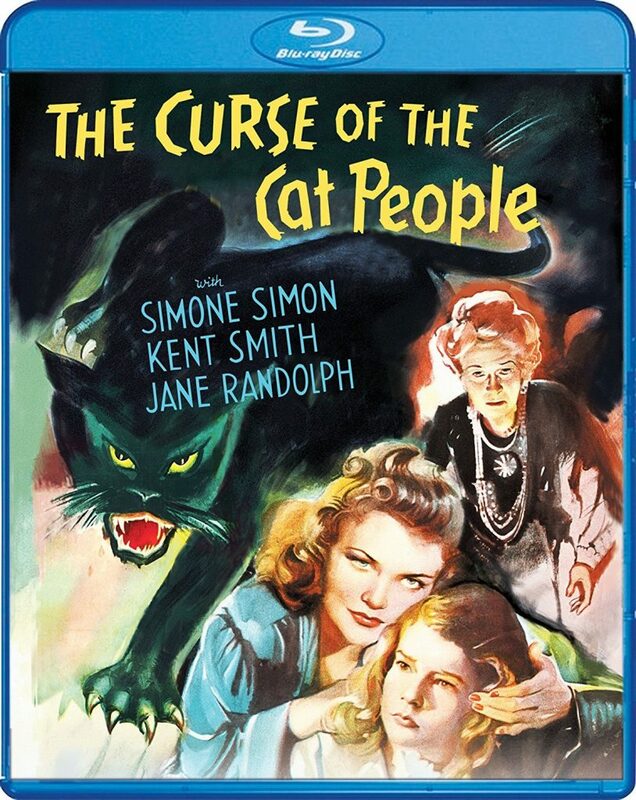 That’s what is so good about ‘The Curse of the Cat People‘. It plays out like a fairytale from the world of Disney in how it focuses on a young child with a gift and the innocence of the said child that is tempered within evil adults. It’s a great story and still holds up to this day. The performances are all excellent even though there was a troubled production here. Scream Factory has delivered an incredible 1080p HD video transfer here along with a decent audio mix. There are even some excellent new bonus features here too. This is one of those films you have to own if you’re a fan of the horror genre or a passionate cinema fan. Filled with “wonderful atmosphere [and] fine, moody fantasy” (Leonard Maltin), this continuation of 1942’s Cat People follows Oliver Reed (Kent Smith), now remarried, living in idyllic Tarrytown, New York, and the father of six-year-old Amy. When Amy becomes withdrawn and speaks of consorting with a new “friend,” Oliver worries that she may be under the influence of the spirit of the first wife. Is it just Amy’s imagination that has manifested the enigmatic Irena (Simone Simon), who long believed herself to be descended from a race of Cat People? Directors Gunther V. Fritsch and Robert Wise (making his directorial debut), co-helmed a gothic-laced mix of fantasy and fright so astute it was used in college psychology classes. And producer Val Lewton, given small budgets and lurid, pre-tested film titles by RKO, worked with rising filmmakers to emphasize the fear of the unseen and turn meager resources into momentous works of psychological terror. This entry was posted on Monday, October 8th, 2018 at 4:01 pm	and is filed under Film, News, Podcast. You can follow any responses to this entry through the RSS 2.0 feed. You can skip to the end and leave a response. Pinging is currently not allowed.